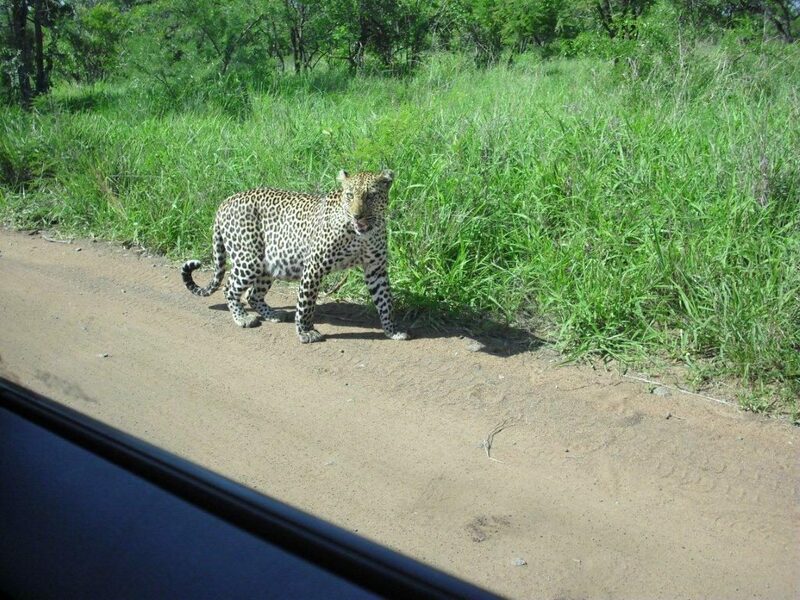 A grumpy female leopard in the Kruger National Park suddenly charges your car, but all seems well until you realise the windows aren’t closed… Janet Wills shares her hair-raising encounter in the book 101 Kruger Tales. The bestseller, compiled and edited by Jeff Gordon, features 101 gripping sightings from visitors to the park, and Wild is giving our readers the opportunity to enjoy one of these tales absolutely free! 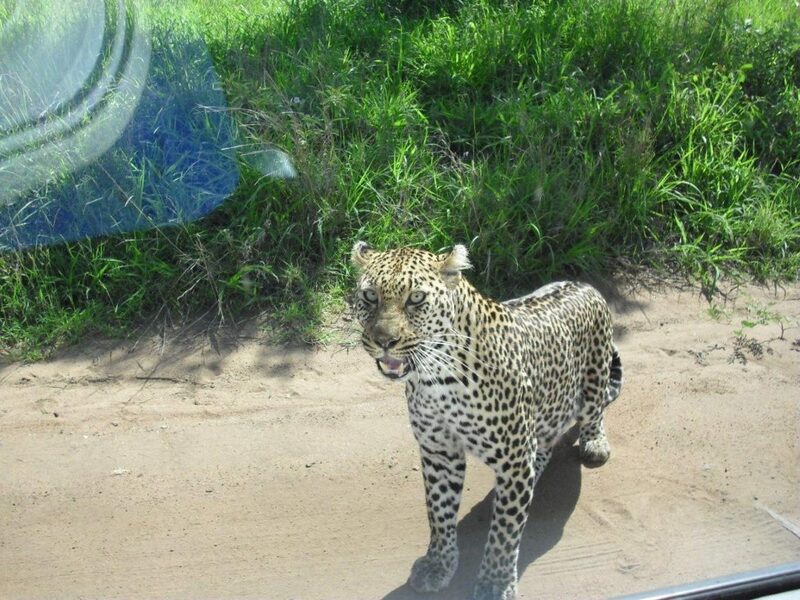 Do you have your own Kruger tale to share? Submit your story and it might be featured in the next edition. 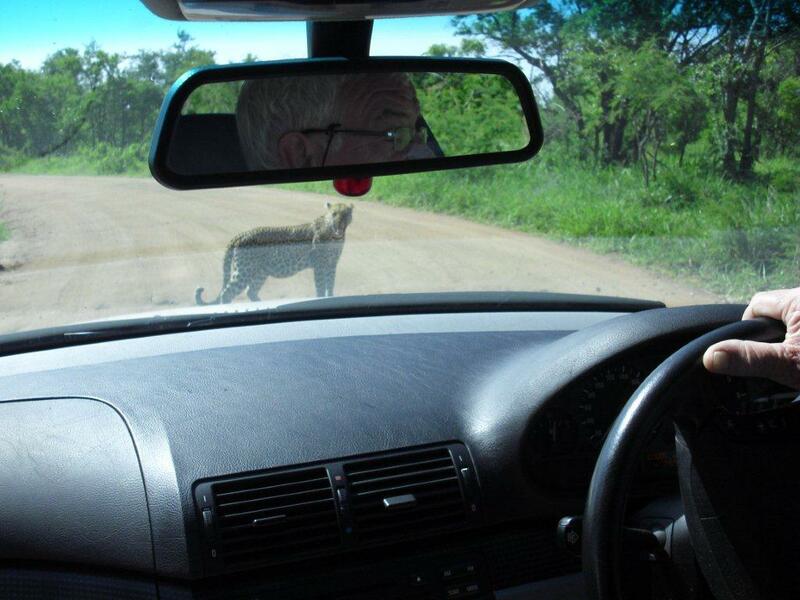 Experts tell us that animals in Kruger think of cars as just another noisy species. So long as we keep our body parts inside the cabin, the animals are apparently unable to distinguish between the vehicle and its occupants, even with the windows open. This is why, in the Park, you have good reason to scold anyone you see leaning right out of their car window or standing up through their sunroof – they’re effectively giving the game away. But one sunny morning in 2009, while our son was out on a fleeting visit from London, we discovered to our horror that the secret may be out – and some animals are onto us. We were only in the Park for a single night on that trip, and we had spent it at Tamboti Tented Camp on the banks of the dry Timbavati River. The following morning we left the camp at about 8.30am. 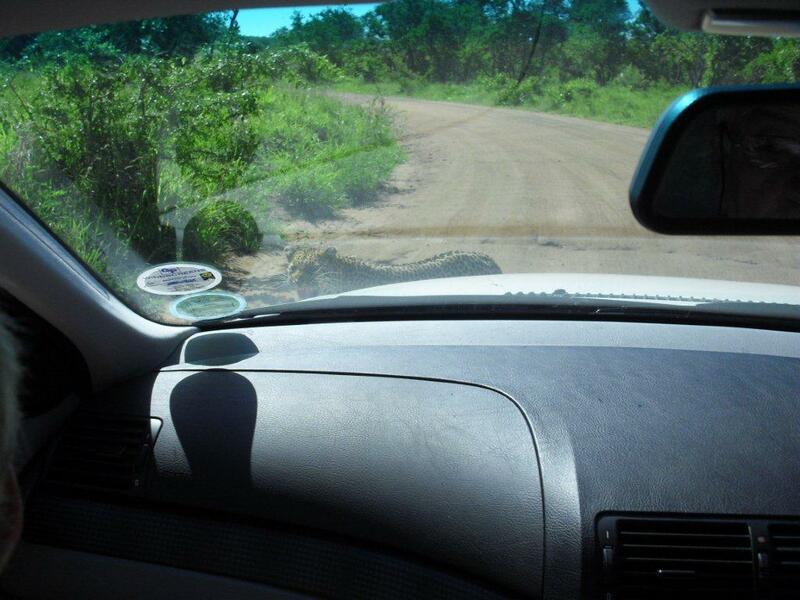 With our windows wide open to take in the smells and sounds of the bush, we headed east along the tarred road towards Satara. About five kilometres along that road, on the right, there is an inconspicuous turn-off that leads you along a gravel road to the N’wamatsatsa waterhole. As we had the whole day to explore, we decided to take the short detour. 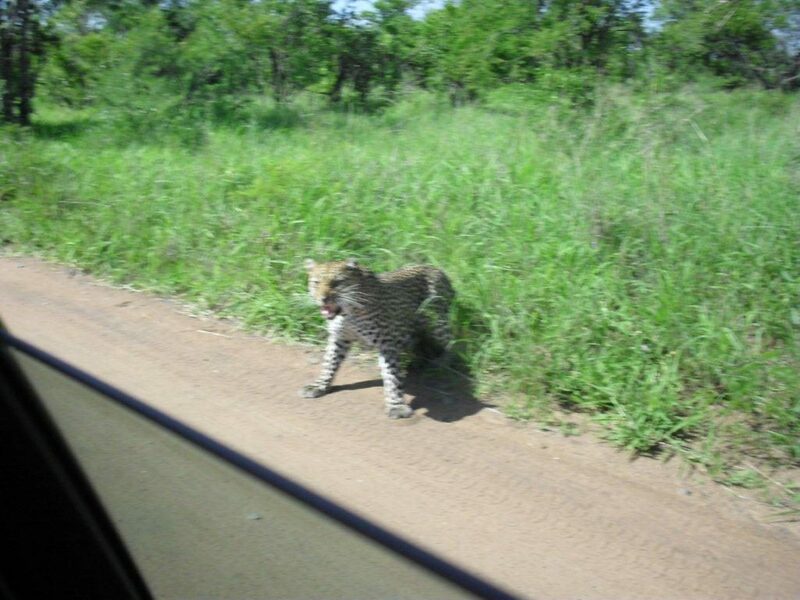 It turned out to be a great decision because as we rounded the very first bend, two tiny leopard cubs scampered across the road ahead of us, closely followed by their mother. The cubs soon disappeared in the long grass to the right, but as we pulled parallel to where they had disappeared, the mother’s spotted back and tail were still clearly visible about 10 metres in from the road. We expected her to disappear into the thick bush after her cubs, but without warning she turned around and, snarling loudly, tore through the grass straight towards us – and our open windows! 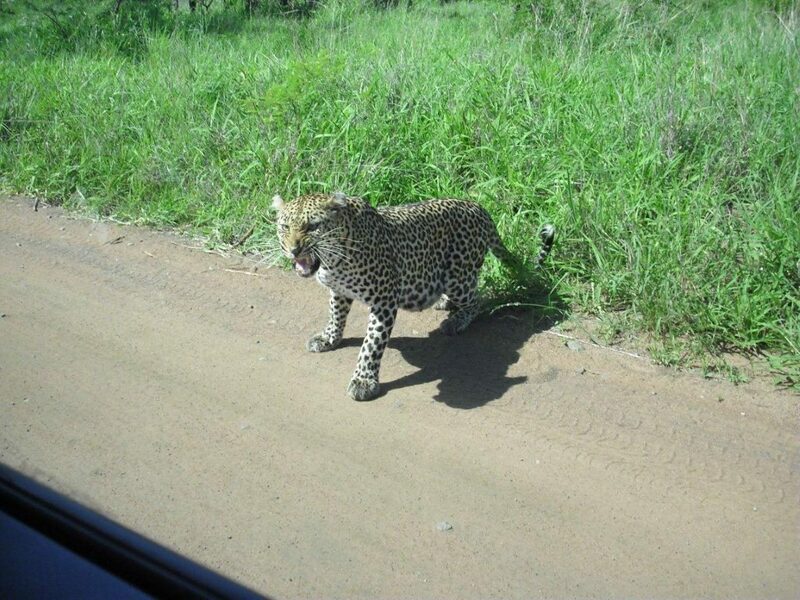 A leopard can cover 10 metres breathtakingly fast, so thankfully she stopped abruptly at the edge of the road, which gave us just enough time to furiously close all the windows. We switched off the engine and kept very still. 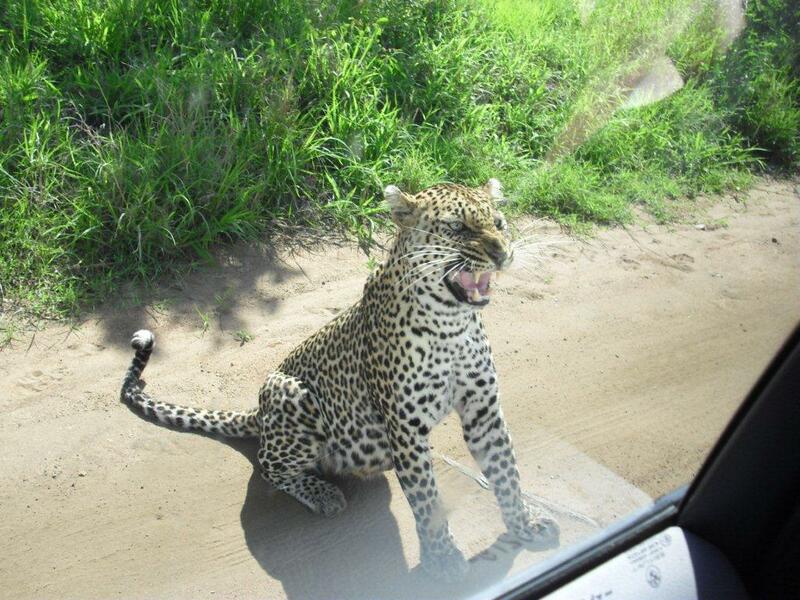 But the leopard was irked. She rushed up to the car; first to my husband at the driver’s window, then around the bonnet to my front passenger window, snarling all the while and glaring at us with what I can only describe as murderous intent. She glanced at the window behind me and, seeing it closed, paced back around the front of the car and glared at us again. Then, just as she appeared to be heading off towards her cubs, she turned suddenly, charged towards us and launched herself at my son’s window. There was a collective intake of breath as she swiped wildly with her paw and struck the glass with such ferocity, the whole car shook. 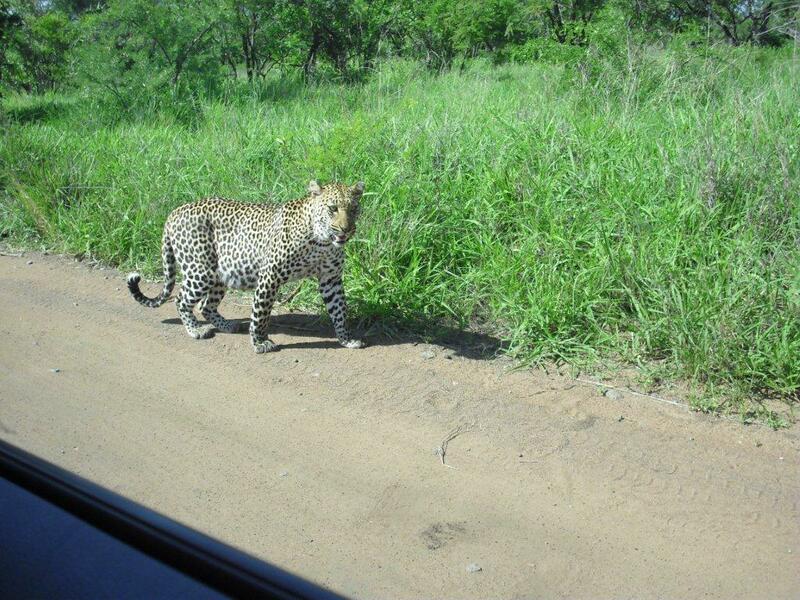 With that, she turned and ran off into the bush after her cubs. We were left with thumping hearts but several questions: What would have happened if we had not closed our windows in time? What if we had been in an open safari vehicle? Would first-time visitors have reacted so quickly? 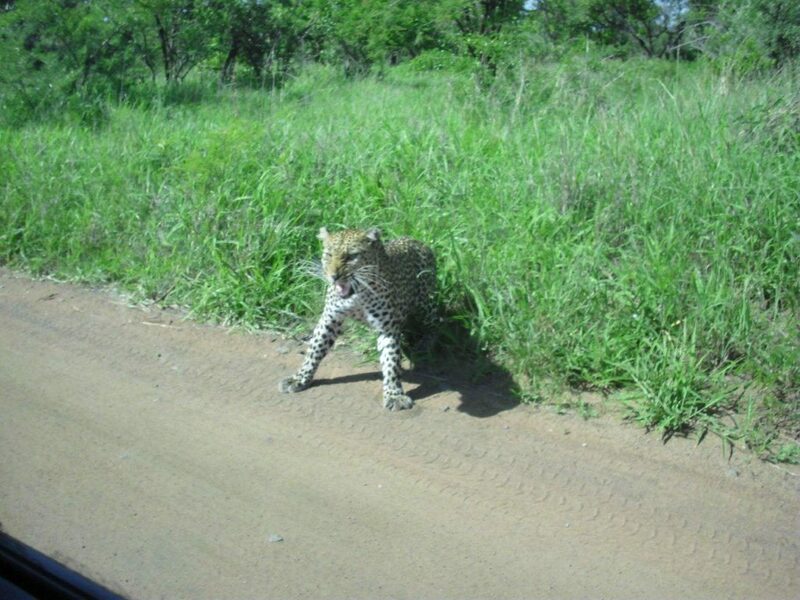 It was chilling to see how calculating that leopard was – and how thoroughly she checked for a way into the car. 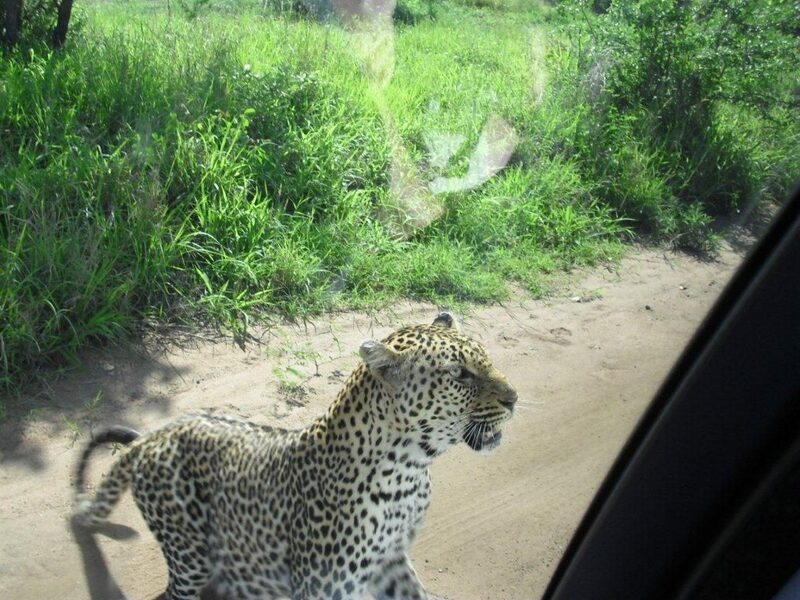 There is no doubt that she could not only distinguish between the car and the humans inside, but would have attacked us if she could have got through a window. I still shudder when I think how quickly the situation could have turned to tragedy, and it’s a reminder of just how wild Kruger can be. Janet Wills and her husband John run the historic Porcupine Ridge Guest House in the quaint escarpment town of Sabie, just 40 minutes from Phabeni Gate. She has visited Kruger countless times but still gets envious of her guests heading into the Park, and never tires of talking about it. 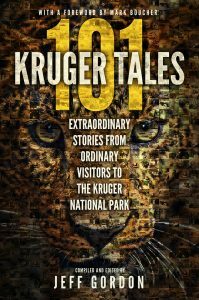 101 Kruger Tales is available at all good bookstores countrywide, and will shortly be available in the UK, USA, Canada and Australia/NZ. The Kindle edition is available on Amazon.